I don't normally try to upgrade the baseballs that I have in my HOF collection. They usually get purchased, blogged and then take their place in my china cabinet (or safety deposit box) for display. I was looking at the Collect Auctions Dec. 5 auction and saw that they had an Ernie Banks signed baseball with the inscriptions: Pearl Jam Rocker; Wrigley Field; 7/19/13. Pearl Jam played a sold out show at Wrigley Field on July 19, 2013. They were met with a severe thunderstorm that couldn't hold the band down. For the safety of the fans at the venue, they took a substantial break to let the rain subside. During the rain delay, Hall of Famer Ernie Banks got onstage and addressed the crowd. I actually have a digital download of the concert and Banks's speech is on it, which is really cool. If you haven't noticed, I'm a huge Pearl Jam fan. I've been a member of the Ten Club since late 2011. This explains why my want list on my blog is titled "Wishlist". How many of you figured that one out? I'm so excited to add this ball to my collection. I originally got Banks TTM for free (but had to wait 6 months for it) but this ball is so much better than that one. It just fits me and in my mind is priceless. You can see Banks's signature looks awesome on the ball. I'm glad he inscribed it with 'Pearl Jam Rocker' and the Date of the concert as well. It is just something awesome. I got a surprise Christmas package in the mail recently from blogger, Judson, from the blog "My Cardboard Habit." Judson has been a great trade partner and was really gracious to send me the above Alex Murphy Bowman Chrome green parallel and the below Chris Davis Topps Update Chrome gold parallel. THe Murphy, who was a 2013 draft pick, is numbered 21/75. He was a 6th round pick who is a lifelong Oriole fan. He passed up an offer to play for Wake Forest in order to play for his lifelong team. That's a great story and I really hope he makes it to the bigs. The Davis (which I'm sure Scott will love to see) is numbered 219/250 and looks AWESOME. I really love the gold chromes. I wish I had pulled more of these. Really. Thanks for the cards, Judson! I really appreciate it and also the kind words you said about my blog. It really means a lot! If you all haven't checked out Judson's blog, please click the link I provided above and read it. It's one of the best! I got two boxes in the mail recently from my good friend, Michael. He had to get me some stuff he promised for my birthday, a few Christmas items and a couple pieces of memorabilia that I bought off of him. In the box, he included a ton of his own game used baseballs from various games which he has played, along with some game worn shoes. He also sent some old batting gloves he wasn't using anymore. He included a stack of books, including some brand new Goosebumps books for my son, Chris, which Chris loves. We've been working hard on getting him interested in reading, and he really has taken a liking to Goosebumps. Thanks for these, Michael! I purchased from him, a couple signed baseballs by some Orioles, Tsuyoshi Wada and Bud Norris. The Wada was an unfortunate purchase on my part, since I got him back in August, thinking he would be serviceable for the O's, but he never made a start. Norris, on the other hand, should be a decent pickup for the birds. We'll see. The biggest piece is a grand slam ball by Brian Roberts that Michael caught at the August 23, 2013 game against the A's. Roberts belted a Grand Slam off of the A's Dan Straily and the ball happened to bounce onto the flag court, then out into the mezzanine where Michael was standing. I had to trade him some pretty good stuff to get it, but I have it now and it is pretty sweet. The final addition to my Roberts collection (until he retires and is inducted into the Orioles hall of fame). Thanks for all of the cool stuff, Michael, I really appreciate it! See you at Fan Fest! Weston, from the blog Fantastic Catch, was kind enough to send along a Christmas package of Orioles stuff, which I received a couple days ago. 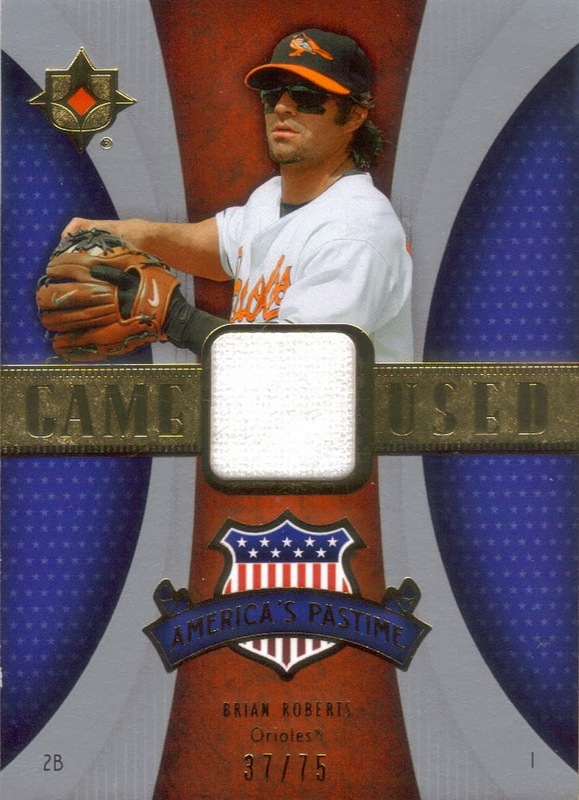 In it was the above 2007 UD Ultimate America's Pastime Brian Roberts relic. The card is numbered to 75. I like how the colors scanned, it really is a sharp looking card. Also, to answer a question both Andrew and Weston asked, yes, I did need this card in my Roberts PC. 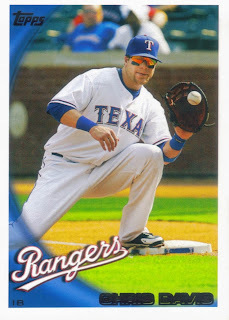 This will probably be the last card I add to my Roberts PC for some time. My wounds have to still heal from him signing with the Yankees. 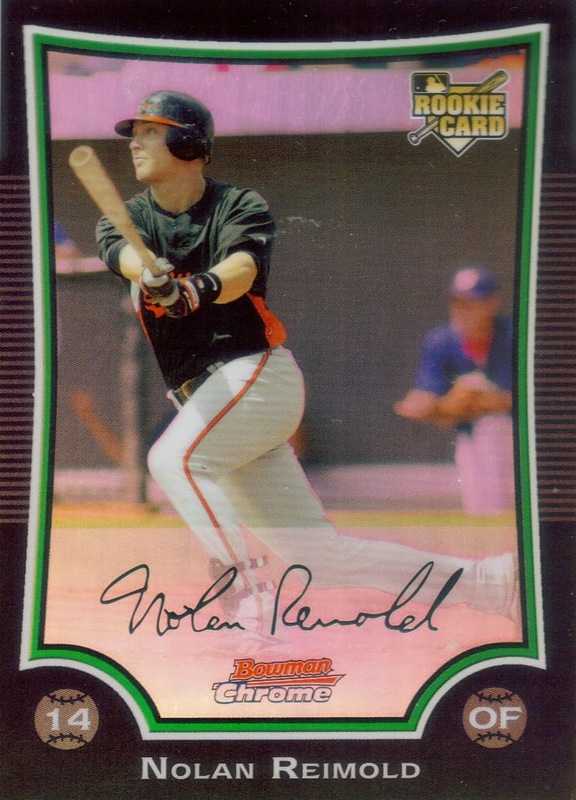 Another card that Weston sent was one that has been on my Wishlist for quite a while now, the 2009 Bowman Chrome Refractor Nolan Reimold. He also sent some other sweet Orioles, but I didn't have time to scan them all. Speaking of my wishlist, I took the time yesterday, at the urging of both Andrew and Weston, to add a top 10 to my page. 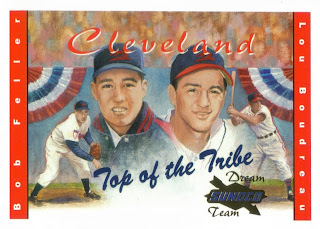 They're attainable cards, nothing like the 1952 Mantle, or T-206 Wagner. Most everything on the top 10 will be had by me at some point. Just keep an eye out! Thanks for the Christmas present, Weston! I enjoyed it, as I hope you enjoyed yours! My in-laws actually read my blog on a regular basis, from what I'm told. 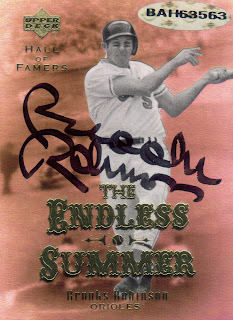 So, when I opened one of my Christmas presents and saw it was the above Brooks Robinson signed 2001 Upper Deck Endless Summer card, I knew they'd get to see it again. 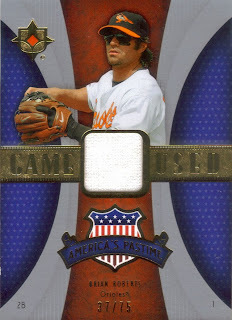 The card comes with a full COA from Upper Deck, which I haven't seen for a card before. Its pretty cool, actually. I kind of wish they had affixed their COA sticker on the back of the card, though. Oh well. According to the COA, the card was signed in front of an Upper Deck representative in Rock Hill, South Carolina in 2001. My question is, since I was living in Charlotte at that time, how did I miss that Brooks would be in nearby Rock Hill? Oh, that's right, I was a broke college student at the time. That might be why I missed it. That would have been cool, though, to meet Brooks as he was in the area. Well, I got my chance 8 years later. Anyway, I love this card and I'm glad my in-laws thought well enough of me to get it for me for Christmas. I'm surprised that my mother-in-law didn't get me a signed Yankees card, since she likes to pick on me being an Orioles fan. Her dad (my wife's grandpa) was nice enough to call me and gloat about the Yankees signing Brian Roberts. Thanks, Pop, I appreciate that. 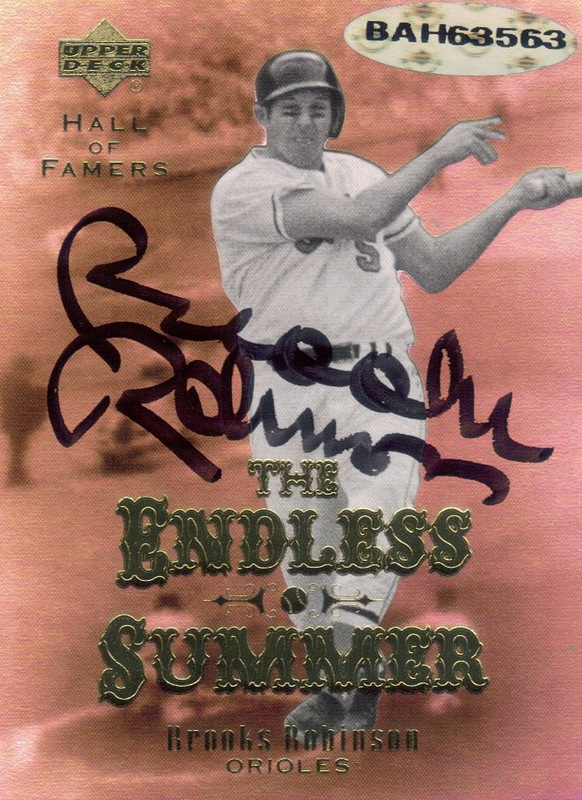 So, thanks to my in-laws for this awesome signed Brooks Robinson card. I really love it and it will be added to my Brooks PC. I signed up for two Secret Santas this year, the first time I have done so through the blogs. The first one I have received is from the blog "Crackin Wax." Topher, from that blog, did his Secret Santa through the Elfster app. It made it pretty easy to organize the endeavor and track when your items were on their way. In my package, I received a stack of 2013 Topps Orioles cards (I believe it is pretty much the team set) along with a few items that I scanned for the blog. I got this really cool mini pennant of the O's that I will hang in the man cave with my other O's pennants. I got this 2011 Topps manufactured patch of Brian Roberts, which I didn't have in my Roberts PC. 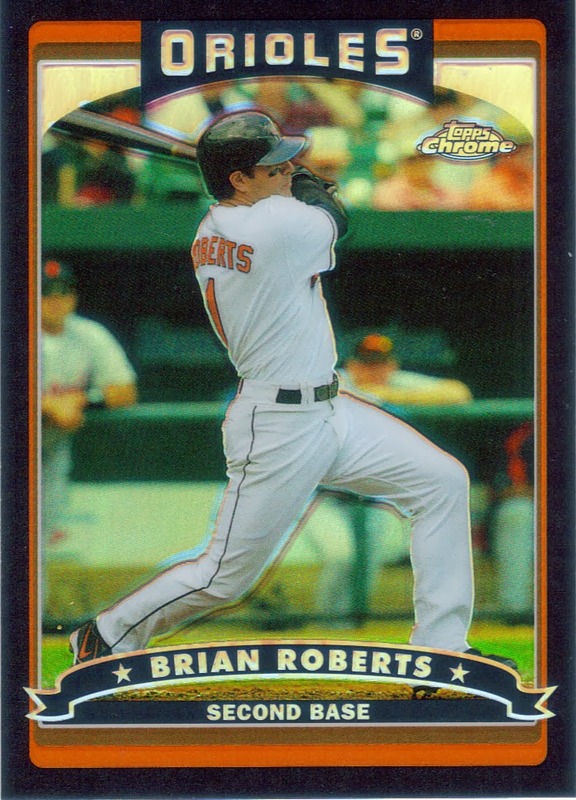 Coincidentally, this card and another that I received in a later Christmas present will be the last Roberts cards that I will add to that PC. Since he was traitorous and joined the Yankees, I will be suspending my Roberts PC searching until a later date (probably when he retires). We'll see. Nonetheless, I do appreciate the Roberts pickups this Secret Santa and the friend who (Weston) sent a Roberts in the Christmas package. 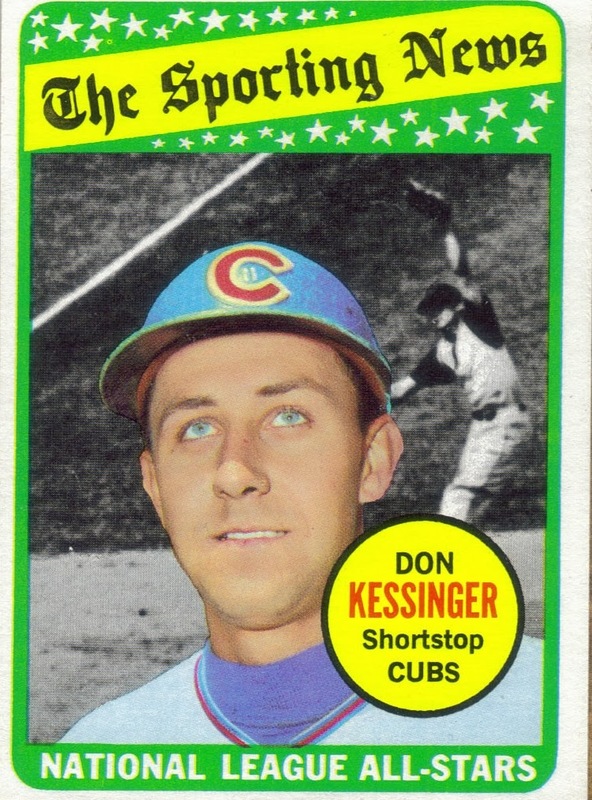 Finally, I got a 1969 Topps for my set that I'm working on. I had hoped I'd have chipped away more of the set than I have but I've been busy working on other things. I'm glad this secret Santa took the time to look at my needs list and knocked a '69 off. So, thanks Secret Santa, whomever you are! Also, thanks 'Topher for organizing the Secret Santa. I'll definitely sign up again next year! I hope everyone had a great Christmas with your loved ones. I did the marathon tour of North Carolina again this year. It began on Christmas Eve with a trip to Grandma's house, then church at my childhood church for the midnight candlelight service followed by Christmas morning at my parents' house, then a trip to Charlotte to hang with the in-laws. We finally got home today to open presents at our house and now I'm ready to slip into hibernation before I go back to work next week. So, continuing on with Christmas presents that I have received, I got the above 2013 Bowman Inception Kevin Gausman auto from my good buddy, Kalib from the blog "Cubs Cardboard." Kalib is a really good guy who I talk to regularly. He's been unable to blog recently since he just started college. He surprised me with a Christmas gift, along with a nice note. I really appreciated his kind gesture. Did I mention that Kalib is a heck of a guy? 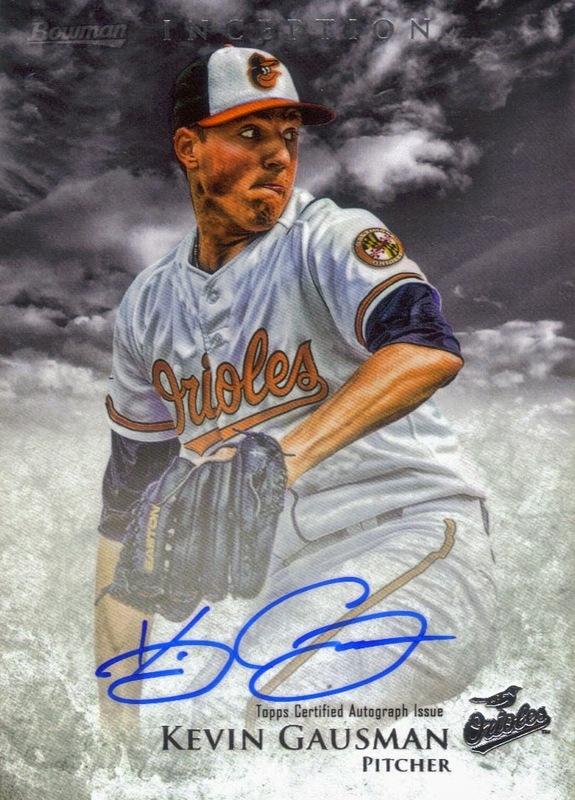 Well, the above Kevin Gausman auto shows it. I didn't own a single Bowman Inception and now I have the Gausman. I have to say, they are really sweet cards and I wouldn't mind picking up a few more. So, thanks so much for the gift, Kalib. You'll have something awesome headed your way soon! I have gotten a few Christmas presents in from some fellow bloggers recently and for those, I will be pausing my posts on my card show trip in order to show them off. I'll also be taking tomorrow off from the blog, just so you all know. So, here are a few of the cards I got in the mail from Matthew, over at Matthew's Baseball Cards, for Christmas. I actually think I traded for the above Dylan Bundy, but I don't remember what I sent him. I think it was an assortment of Chrome numbered parallels. 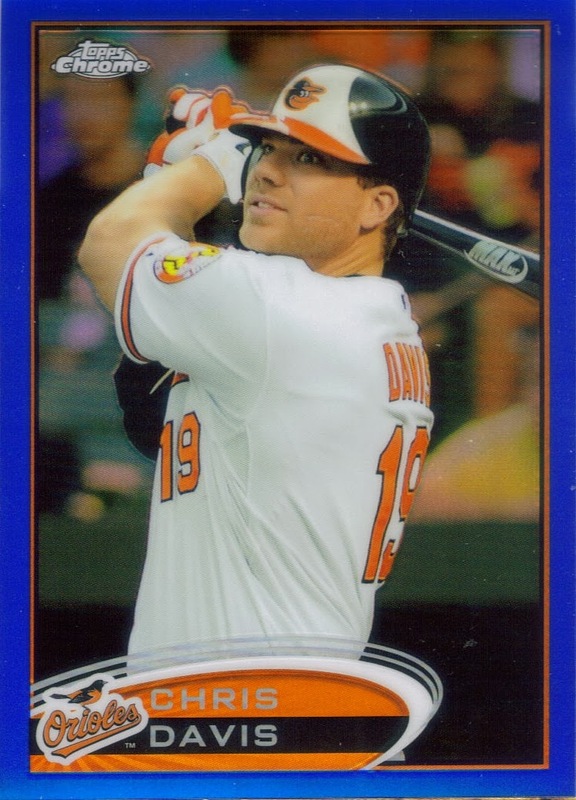 He also included the regular refractor Bundy in my Christmas package as well. 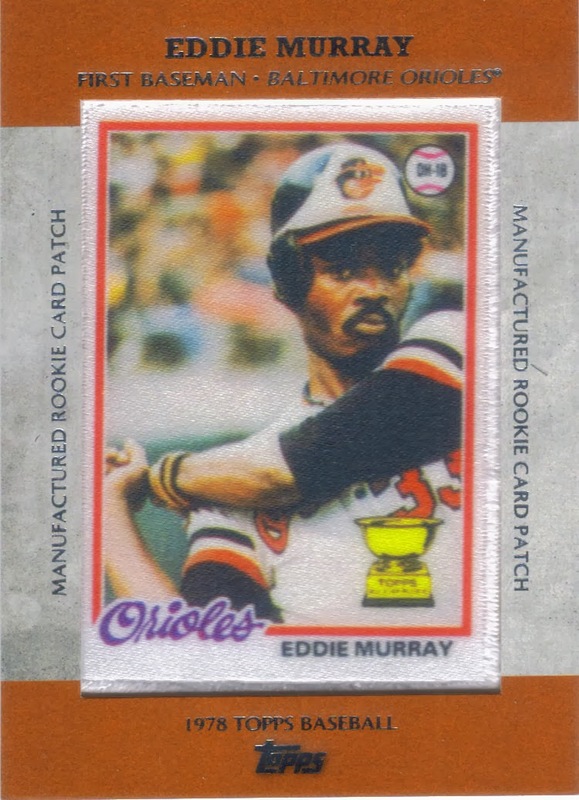 Matthew also included this 2013 Topps retail silk RC of Eddie Murray, showing a silk variation of his classic 1978 Topps RC. 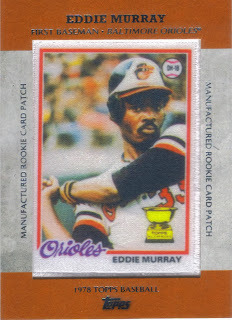 I have always liked the '78 set and the Murray is a really nice card to have. I only have the one RC in my set, so I would like to find another Murray RC for my Murray PC at some point. Its not a pressing issue and I'm certain I can find one for a deal, so I'll be on the lookout for sure. 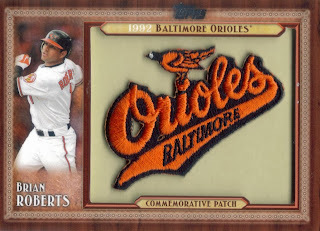 Anyway, the silk RCs were a pretty cool concept and I believe Jim Palmer and Eddie Murray were the only Orioles represented, but I could be wrong. I do know that I haven't seen a Brooks one. I really liked the cards, Matthew! Merry Christmas, guys. If you have to travel, please drive safe. No texting and driving! I only picked up two cards each for my 1959 and 1969 sets when I was at the card show. Today, I'll show you the '69s. 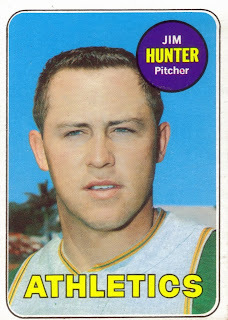 First up is the above Catfish Hunter card that I got. That's a really young Catfish in the old school A's jersey. 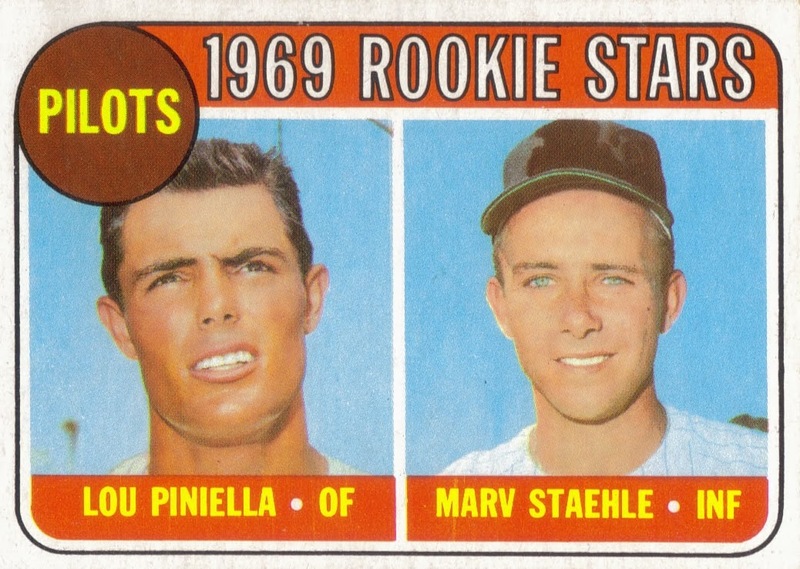 The other 69 Topps I got was this Lou Piniella RC. It's kind of funny how many manager RCs are in this set. So far I have picked up the Bobby Cox, Earl Weaver and Piniella RCs. Not bad. I got both of these cards together for around $5, so that was really good. I got them around the same time I got the Torre RC, but I think this was from one or two tables down from there. 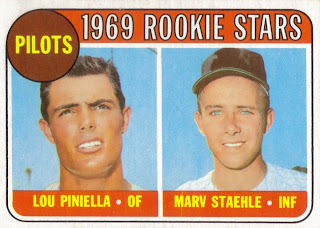 I just now noticed that the Piniella RC is from the Seattle Pilots. That's pretty cool, too. 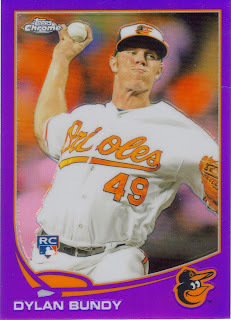 One thing I was looking for, or one type of thing, rather, was picking up some notable rookie cards for my collection. At the card show, I was able to do just that. I got several copies of a couple rookies with the intention of keeping one of each for myself and flipping the rest on for a small profit. That should tell you that I got these pretty cheaply. 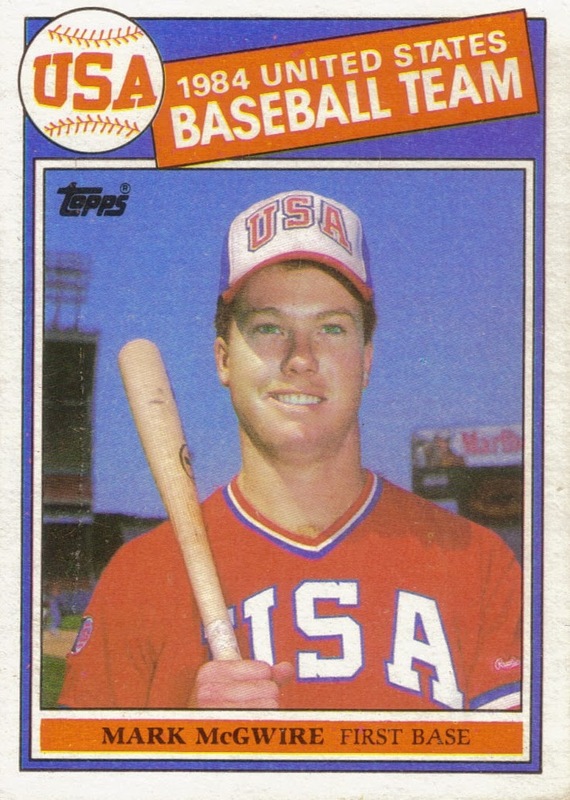 I remember when the above Mark McGwire and below Roger Clemens rookie cards were really expensive. $50 each, if I remember correctly. My how the mighty have fallen. I got each of them for a few bucks each. I got two copies of each card. I already had one of each in my 85 set and now I have one each to put with my notable rookies. Each card I got is in really good shape. If I were into it, I would consider shipping a couple off to be graded. However, I really don't care for grading cards, so they will stay in top loaders in my collection. 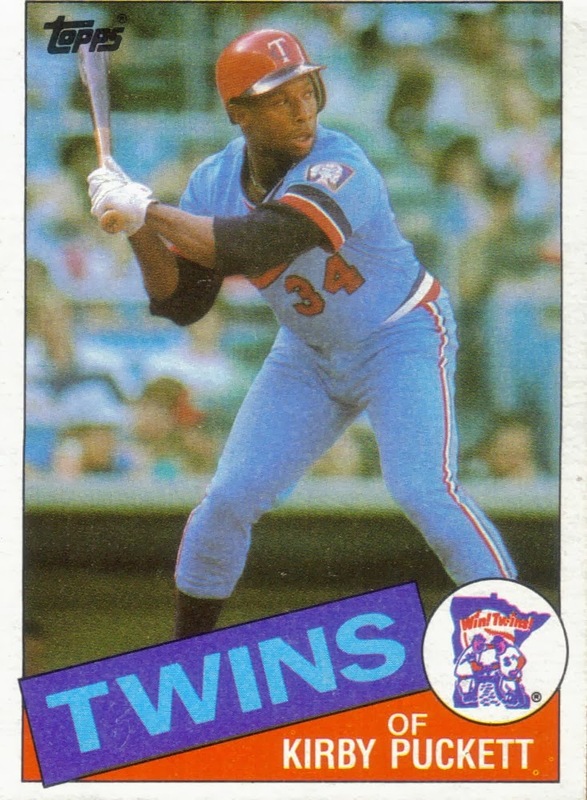 One card I found really cheap and am unable to explain why was the Kirby Puckett RC. It was the same price as the Clemens and McGwire. Oh well, I took advantage. I already had an additional Puckett RC, so the two I added at the show are sale able or trade able. They look good and I enjoy the retro Twins uniform. This card I was able to get for $10. 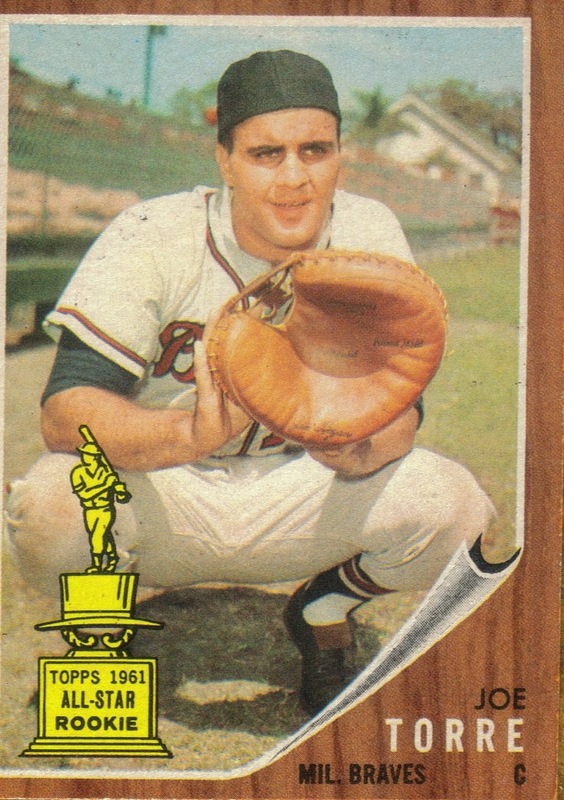 A 1962 Topps Joe Torre RC. This one if strictly for my RC collection and not for sale or trade. I was looking for this specific card before I even embarked on the card show trip and was glad to find it at a reasonable price early on. I made a really good find at the card show with Scott. We were looking through cards at a vendor who had a ton of recent parallels and he (the vendor) brought out this 2012 Topps Mini Silver Parallel. He wanted $30 for it and since I knew I probably wouldn't see another one, I jumped at the chance. The card is serial numbered 1/5, so that's really cool, too. 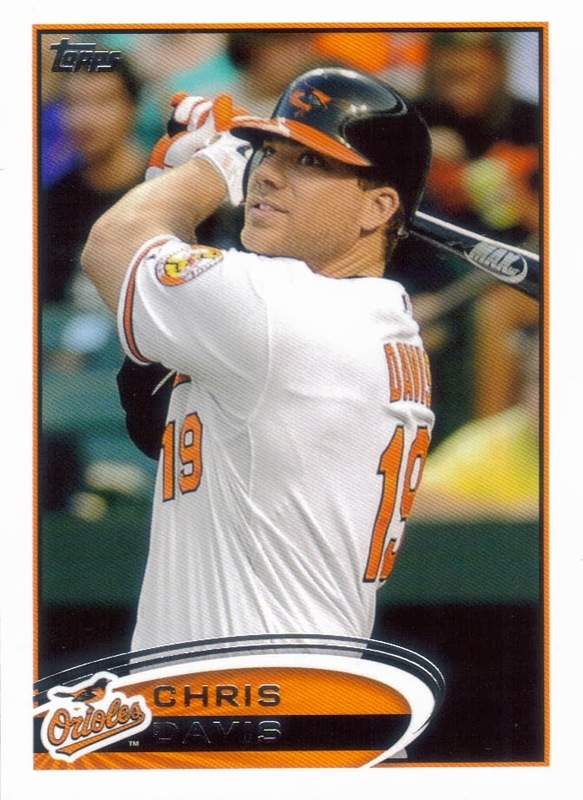 Also, I see that I have blogged Chris Davis cards two days in a row, so I know Scott is really enjoying that! My very good friend, Andrew, sent me a really awesome Christmas present that I got the other day. It means so much to me that I'm interrupting my string of card show posts to show off two of the cards I got from him. 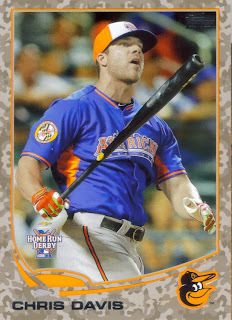 First up is this 2013 Topps Update Chris Davis Camo parallel. I believe Andrew sent me an Ebay link of the Camo at one point, but I was tapped out on card money at the time and didn't buy it. He came through for me, like he always does and surprised me with it for Christmas. The card is numbered 69/99. 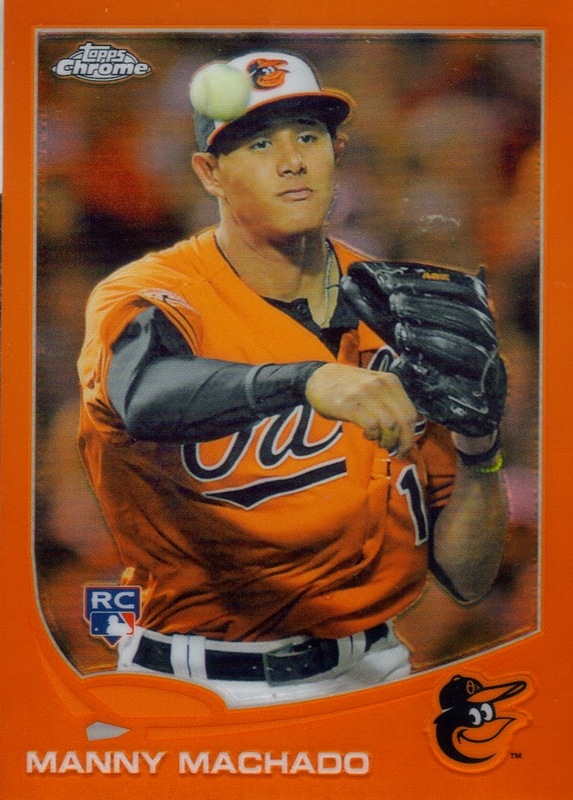 Next is this amazing Manny Machado 2013 Topps Chrome orange refractor parallel. These parallels are retail exclusive and are not numbered. 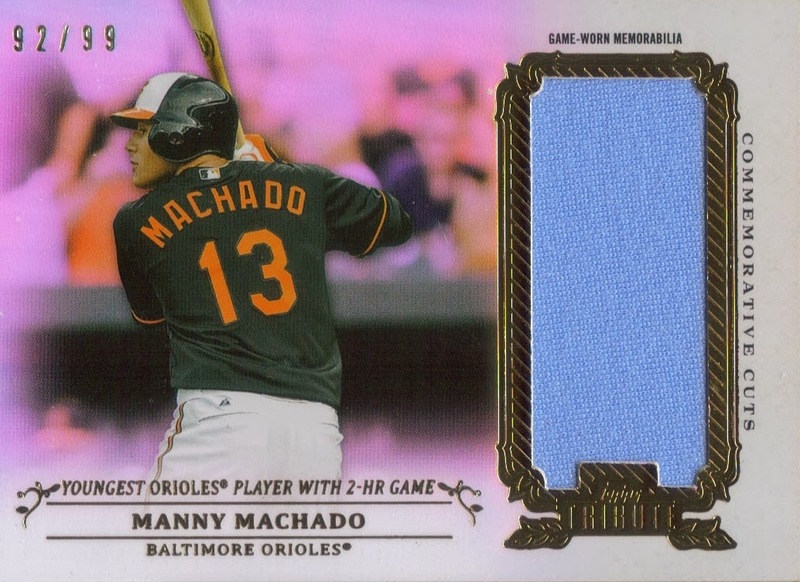 I have to tell you, though, it looks awesome with Manny's Orange jersey. It really pops! I'm so excited to have these cards in my PCs now. Thanks so much for the Christmas presents, Andrew, it means a lot to me! Only a few tables into the card show (and before I got my ball, Foxx pin or Virgil Trucks card), Scott and I saw the above 2013 Topps Tribute Manny Machado relic. The vendor quoted a very reasonable price on it and I told Scott that I liked the card. He asked me if I liked it enough to be my Christmas present from him and I said, sure. That escalated quickly! We walked away from maybe the third of fourth table at the show with my Christmas present already. This was our sign that this was going to be a very productive card show. I'm seeing it now that we really made out like bandits because I had to decide what I wanted to write about tonight and thought to myself a couple times "Oh I forgot that I got that card!" or "Oh man, I got a deal on these..."
This Manny Machado relic is a sweet card. It looks like it is from a Futures Game jersey. I know it isn't from the All Star Game jersey from this year, that'd be too soon. The blue on those jerseys was darker than this as well. The card is numbered 92/99. Thanks for the Christmas present, Scott! I really appreciate it! At Saturday's card show, I was able to find an interesting addition to my Virgil Trucks PC. This oversized card, a 1947-66 Exhibits card, was only $4. As you can see from the scan, it is pretty rough, but I think it still looks cool. The card had to have been produced between 1953 and 1955 as those were the seasons Mr. Trucks was with the White Sox. Not a bad pickup, if I do say so myself. 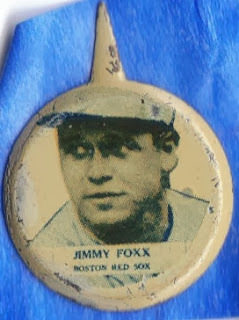 I got this card from the same seller as my Jimmie Foxx pin that I posted yesterday. So, two really awesome PC additions right at one booth. I definitely was off to a good start at the show. I don't need too many more Trucks cards for my PC. I know there are several oddball items out there that I still have yet to pick up. 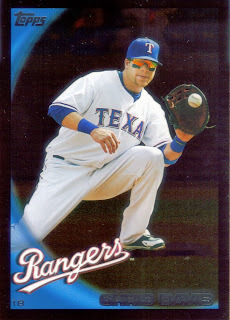 I also still need his 2011 Topps Black Diamond Autograph. That card would be near the top or any Top 10 wishlist needs, that's for sure. Hopefully I can find one at a reasonable price sometime soon. One of the coolest things I picked up at this past weekend's card show was this tiny little piece of metal. It is a 1938 Our National Game Jimmie Foxx. I had to look them up and they are part of a really cool set of little metal pins that hook to a piece of cardboard with the little point that you see at the top. It is about the size of a dime. Right now, I have it in a snap case, but I'm going to put it in a top loader, I think. Maybe in one of those cardboard holders you see in coin collections. This definitely takes the oddball cake, though. I saw it in an album, and had to get it because I figured it would make a cool blog post and it is a nice addition to my Foxx PC. When I was looking them up, I noticed there was a Feller in the set, so I think I may have to add one to my Feller PC as well. The best part of all of this was that I got this little beauty for only $35. I little higher than I wanted to spend on cards at the show, but I couldn't let this pass me by. I hope you all enjoy it as much as I do because I couldn't wait to catch up with Scott at the show (he had moved on to other tables) and show it off. I had one of the most productive visits to a Raleigh Card show in recent memory when I met my good friend, Scott, on Saturday. We met up at 9AM and went inside and went berserk on the tables until we couldn't take it anymore (and we got hungry). I wasn't going to buy any baseballs, being this close to Christmas, but when I saw the above Bob Lemon that I needed and heard the price the lady was charging, I jumped all over it. She wanted $60 but said she would do $50, plus is it JSA, so I took the deal. Lemon is my 96th Hall of Famer. The ball is a Bobby Brown OAL ball. Bob Lemon (b. 1920 - d. 2000) played in the majors from 1946 to 1958, all for the Cleveland Indians. 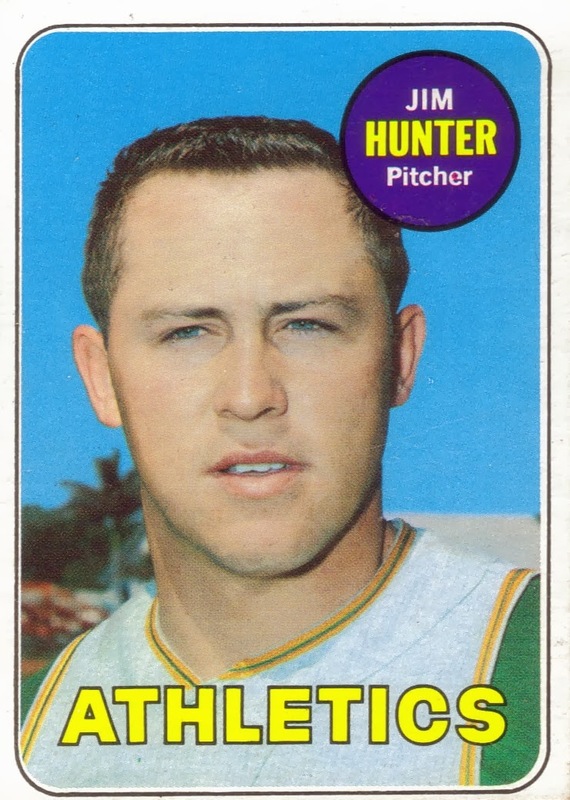 He had a career record of 207-128 with 1,277 strikeouts and an ERA of 3.23. He had 20 or more wins in 7 of his 13 seasons, not bad. 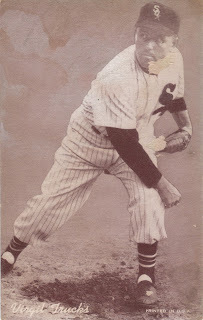 He was the league leader in wins 3 times (1950 - 23; 1954 - 23; 1955 - 18). He won the World Series with the Indians in 1948 and was elected to the Hall of Fame in 1976 when he got 78.6% of the writers' vote. 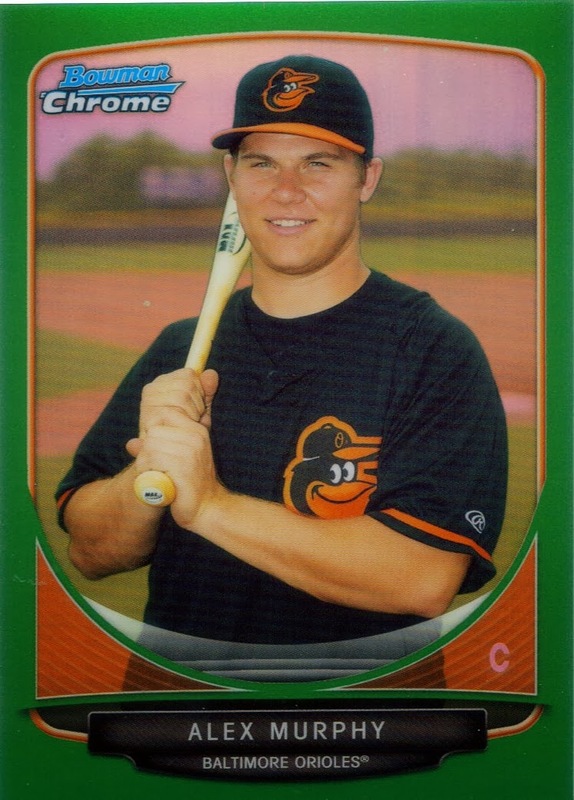 Here is another 2010 Topps Chris Davis card that I pulled off of COMC recently, this time it is the Wal Mart black card. I like the current incarnation of the Wal Mart parallels, since they are a lot harder to confuse with the Black border parallels. These are ok, though, the pictures have all been washed in black, tattooed everything. Anyway, I got this card pretty cheap and was able to get to work pretty hard on Davis's 2010 offerings during this COMC binge, but I've had to lay off of buying PC needs at the moment with Christmas right around the corner. I hope to add more Davis cards after the new year. We'll see. Two days ago, Hunter Harvey turned 19. In the photo on the card above, he looks more like 14. 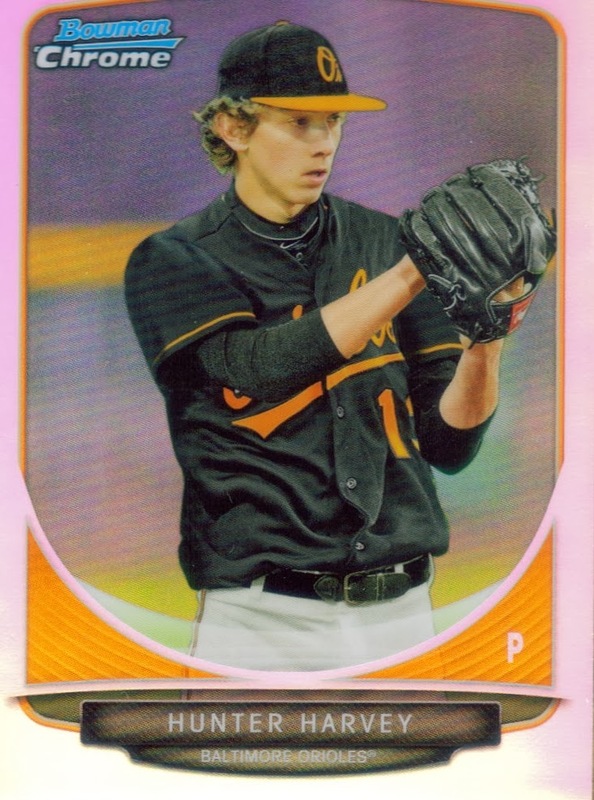 This is the first Hunter Harvey card that I have been able to add to my collection and it came via a jumbo pack of 2013 Bowman Chrome that I picked up at the card shop several weeks ago. Harvey is another in a recent line of pitchers that the Orioles have taken in the first round of the Amateur draft. Being that he is from North Carolina, and more specifically, Bandys High School in Catawba, NC (a few miles up NC Highway 16 from where I used to work), I am rooting especially hard for Harvey to have a long and successful career in the majors. I'm always a fan of NC-born players, so I was really happy when the O's drafted him this past year. He performed pretty well in his limited experience this past season, posting a 1.78 ERA with a record of 0-1 over 25.1 IP (8 games). Not bad for a kid fresh out of high school. Here's hoping Harvey can make it as far as Frederick next season so I can say hello when the Keys come through Zebulon, NC to play the Mudcats. I always think to myself that one day, I'll put together the Topps Heritage set and every year, I put it off. I mean, come on, look at how nice these cards look. 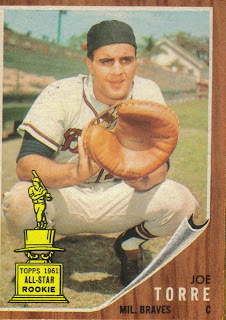 The 2010 Topps Heritage set is a re-making of the 1961 set, a very classic design. Simplistic, yet stylish. 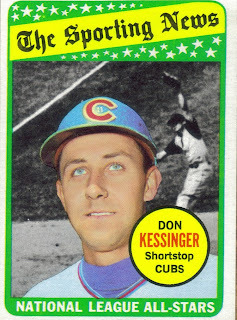 The '60s were a boon for the Topps designers for sure. Of course, the '50s sets were nice as well. 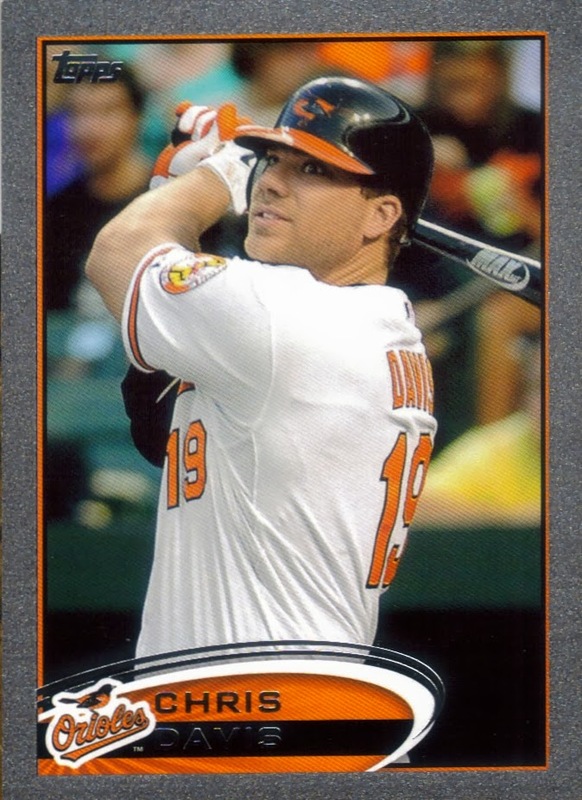 So, I picked up this 2010 Topps Heritage Chris Davis without consulting my PC box and found out that I already had the card. Whoops. Oh well, it's a nice looking card, so I'm ok with having a duplicate. This had to be one of my favorite heritage years. I actually opened quite a bit of Heritage in 2010. I haven't gotten much of it in the recent years, mainly because it flies off of the shelves at my LCS. I try to buy a box of it here and there. I do know that I will be getting some when 2014 comes out, since it will be the classic 1965 design. I've been awaiting those for quite some time now. Wow, this post looks an awful lot like the one I posted last night. Well, kind of, except for the retro Topps Logo in the top left corner of the 2010 Chris Davis card that I have pictured. This is the Topps Target parallel, before the Target cards were red. What I also like about these is that Topps used the old-type cardboard on these throwback cards. I fondly remember searching boxes upon boxes of cardboard, specifically looking for the 'gray' cardboard since it signified older Topps, which I was hoarding in order to build starter sets for later set building projects. I have almost built every year of Topps set that has the grayish-brown type cardboard (starting in 1971 and ending with 1991), I no longer use it as my visual guide when looking at boxes of cards at shows. I now look for specific things as opposed to partial sets. I do miss that old gray cardboard, though. I'm not one for the new slick stuff and please don't get me started on the over-glossed mid 90s stuff (that, incidentally, sticks together and makes the packs and sets pretty much worthless). As you can tell, I picked up quite a few variations of Davis's 2010 Topps card. By my count, I have 2 more to show. Stay tuned! Continuing right along with my COMC batch, here is a 2010 Topps Chris Davis that I picked up. I'm certain I had this card at some point, but it probably was sent off in a trade to some Rangers fans. Or, I could have sold it with my bulk 2010 stuff at a show. I'm not sure. Anyhow, I picked this one up off of COMC dirt cheap, so I'm glad to have it in my collection again. I mailed out some Christmas packages to a couple fellow bloggers and i have a couple more that I want to ship, hopefully tomorrow. I am done with the two Secret Santas I signed up for, the one with Crackin' Wax and the other with Weston. I hope to also have those mailed out tomorrow. Some of the lower end items have been moving from my COMC page. I'm very glad to see these things sell off. Please, everyone, take a look at my page and buy some last minute Christmas gifts for friends or family, or even yourself. I've got some good deals on there and when you buy something, you help me add future items to post on this blog. It's a win-win! The link to my COMC page is posted at the top of my blog. Nick from the amazing blog "Baseball Dimebox" sent me a package that I got today. There were a ton of Orioles in it, several of which I needed for various PCs. 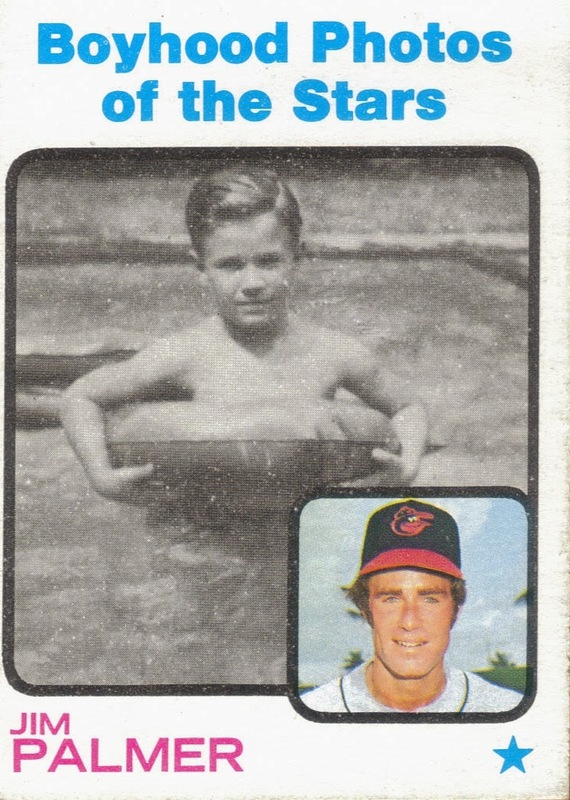 The above Jim Palmer Boyhood Photos of the Stars card is especially nice (since I completely forgot it existed!). 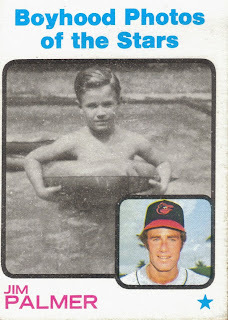 the amazing thing about this card is the Palmer's hair hasn't changed after all these years! Another card I really liked (I liked them all, but I can't scan them all) was this one that I had never seen before. This is a Sunoco Dream Team card of Bob Feller and Lou Boudreau. It is a surprise addition to my Feller PC. Nick has a really good eye for the "Diamond In the Rough", if you will, which is one of the many great parts of his blog. Nick's ability to find something cool about any card is something I really try to use in my card shopping adventures as well. Thanks for the package, Nick! The English majors in the crowd will appreciate the alliteration in the title of this blog post. You're welcome, Adam. So, a show of hands from everyone who predicted that the week before the Winter Meetings would be packed full of moves. Crickets? Yeah, I didn't see it coming, either. I mean, really, who thought Robinson Cano would go to the Mariners? I thought that the Orioles would maybe make a move, but I wasn't all that thrilled that they traded Jim Johnson and seemingly got not a whole lot in return. Jemile Weeks may be a good change-of-scenery guy, so you never know. I also still don't know who they will get at the PTBNL; We'll find that out next week after the Rule V draft. Johnson blew 9 saves last year and saved 50. The O's played in WAY too many close games, so I think his saves and save opportunities stats are a bit inflated. I like the guy and will miss him, but really, I do believe he can be replaced. I also see that former Orioles Scott Feldman and Nate McLouth offically became former Orioles today. Feldman was serviceable this year and in my mind, the O's really didn't give up much to get him. I was so done with both Strop and Arrieta that I feel the trade is still a wash, even thought Feldman turned out to be a rental player. I am saddened, however, by the departure of Nate McLouth. He was a player you could really root for and I hate to see him go. It especially hurts that he is one of my son's favorite players (behind Lincecum, of course) and I had to let him know this evening that we won't be seeing Nate at Fan Fest. Dang. 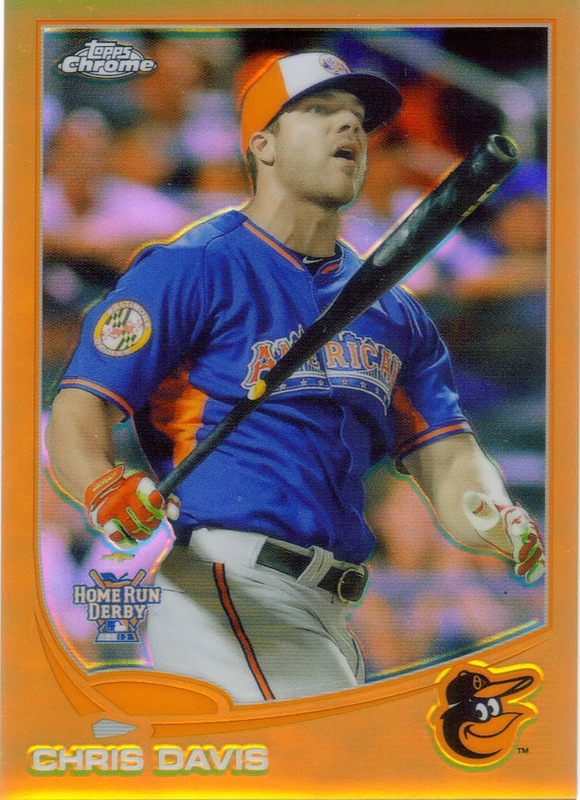 Finally, I am still whittling down my COMC stack with today's card being the 2013 Topps Chris Davis Gold parallel. The card is numbered 397 of 2013. I now need a printing plate, Pink parallel and the Black parallel. Not bad, right? I didn't think I got any mail today since I saw the mail person drive away and there was nothing in my mail box. Then, when we were leaving for Cub Scouts, I saw her driving back down our street as if she had forgot something. Long story short, I just now remembered this, 4 hours later, ran outside and saw that I finally had some mail. Anyway, this post is not about that mail. That mail was Christmas presents from COMC that I will be packaging up to send out to a couple bloggers. This post is about the 2012 Topps Mini Chris Davis that I got off of COMC a month or so ago. You know, because I still have 10 or so cards from that purchase left and I want to make sure I have stuff to blog about up until the Christmas presents come in. So, here is the 2012 Topps Mini Davis that I got. Thing is, I'm pretty sure my friend, Ryan, sent me this card already, but I am so bad about keeping up with what I have, I went ahead and bought this one with my store credit. Oh well, here it is anyway. I hope you guys enjoyed it. I'm sure many of you who read this blog on a regular basis remember that when Historic Autographs came out with their Ball of Fame offering back in 2011, I was really excited. You can read the post I wrote here about my first one. I actually opened 4 of them (if I remember correctly). Well, for Black Friday, when I was purchasing presents for folks, I saw that one of the promotions was for the Ball of Fame II 2013 National Promotion for $59.95. I figured this was a pretty good deal, so I jumped on one for myself. The ball (and the other stuff I bought) came today, so I immediately got my good friend, Andrew, on Skype and I busted the box. As you can see below, I am definitely not disappointed! I picked up possible future Hall of Famer, Jack Morris, inscribed 91 WSC. Not a bad pickup. The ball is authenticated by PSA/DNA and also came with a name card (which is how I knew it was Morris right away, without having to open the red velvet-ish bag it came in. Morris (b. 1955) played in the majors from 1977 to 1994 for the Tigers, Twins, Blue Jays and Indians. 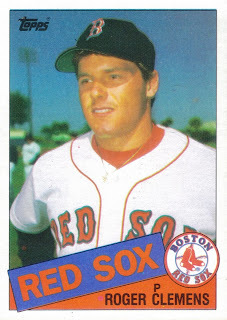 He had a career record of 254-186 with a 3.90 ERA and 2,478 strikeouts. Morris's career numbers don't tell the complete story of his career or the on-going Hall of Fame argument that surrounds him. He was regarded as quite the big game pitcher, especially in the 1984 and 1991 World Series. He was a World Series winner with the 1984 Tigers, 1991 Twins and 1992 Blue Jays. He never won a Cy Young Award, but he finished 3rd in the voting twice (1981 and 1983). He was also a 5-time All Star and finished as high as 13th in the AL MVP voting (in two seasons, 1991 and 1992). Morris was the league leader in wins 1981 (14) and 1992 (21). He won 20 or more games two other times in his career (1983 - 20, and 1986 - 21). Regarded as a possible Hall of Fame candidate, he has appeared on the ballot 14 times and has only gotten as high as 67.7% of the vote. Unless he gets a groundswell of approval before January 8, 2014, he will have to wait until he appears on the Veterans Committee ballot in order to gain entry to the Hall. In my opinion, it wouldn't be the end of the world if Morris makes it into the hall. His career ERA of 3.90 would be the highest for a starting pitcher who is in the Hall already, but there are other pitchers who have already been enshrined who I would not have start game 7 of a World Series before Morris. So, there you have it, my latest opening of a Historic Autographs product. Again, I'm very pleased with the ball overall and will definitely consider opening another! This post looks strikingly similar to yesterday's post. 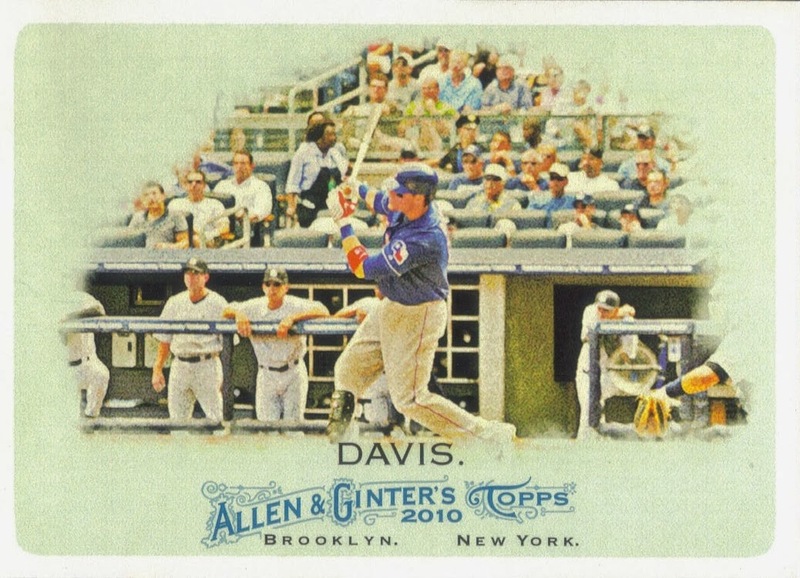 It is because I have this and one other 2013 Topps parallel of Davis yet to post. I'm getting there. Slowly catching up with my COMC pile. We'll see if I get through it all one by one or if I finally lump some together for a quick post. We'll see. This is, at least, keeping me busy. I don't know why the Toys R Us purples are a little more expensive than the Wal Mart and Target parallels, but maybe it's because Wal Mart and Target sell more cards. Simple supply and demand. What do I know, though, I failed Economics. Anyway, I do like the purples. They look especially better in the Chrome variety, but the base ones look good too. 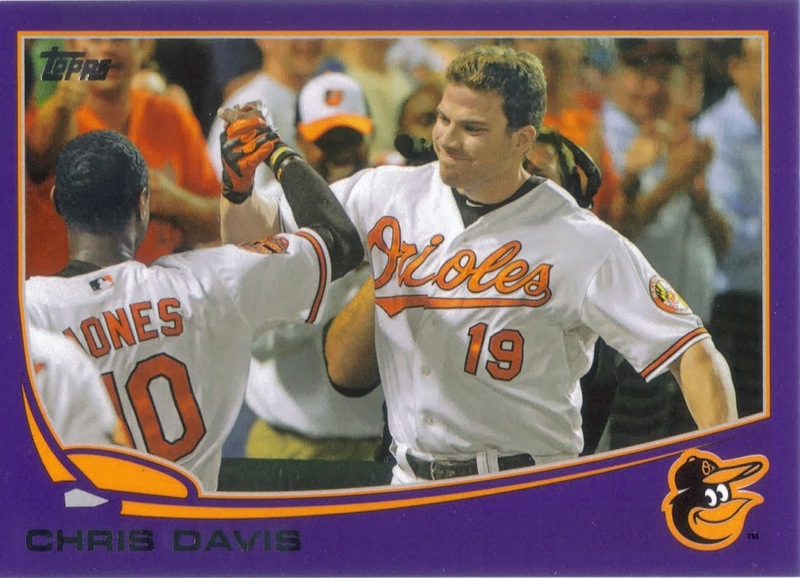 I noticed that Opening Day had purple parallels as well and the only Davis I saw was going for $20 on Ebay. Wow. May have to hold off on that one. Davis's parallels from 2013 are getting knocked off of my list, so I hope I can add the tougher ones soon, like the Pink, Plate, Black, etc. Good luck to me. I hope everyone had a great Thanksgiving, surrounded by friends and family. We ate dinner here, Thursday and left Friday for a weekend at my parents' farm. We had a great time hanging out, fishing, shooting guns, riding horses, that kind of thing. I was unable to blog this weekend, but that's ok, because I enjoyed my break. I'm back full swing, now. I had a couple cards sell this weekend as part of the Black Friday weekend sale, so that was nice. The sale runs through tomorrow, so please check out my page for some serious deals. Help me clean up and also help me flip some cards for PC and set needs. The above card is from a September COMC purchase that feels like it is never ending. The 2013 Topps Chris Davis Target red parallel. This is a nice card, that took me a while to find, for some reason. I have just about all of Davis's 2013 offerings from Topps base, now I need to switch to Update and knock some of that stuff out. Happy Thanksgiving, everyone. I appreciate all of you taking the time to read my blog over the 5 years of its existence. Yeah, that's right, I passed my 5-year anniversary a couple weeks ago. Hard to imagine how much of a failure that I thought this blog would be. I'm very thankful that Pete and P. A. talked me into starting it up back in November 2008. I'm thankful for the close friends that I have gained because of this blog. Andrew, Drew, Scott, Ryan, Nick, Schuyler, and many others. I'm thankful for the opportunities it has provided. Interviewing Mr. Virgil Trucks and trading with Nolan Reimold's wife. I'm thankful to all of the former players who have responded to my TTM requests. The players who took the time to put in a little something extra for this fan. I'm thankful that I had the opportunity to interact with some of those players before they passed away this year, such as, Virgil Trucks, Mule Miles, Mike Palagyi, Bob Savage, Sophie Kurys, Chuck Diering, Babe Martin, Moon Mullen, Bob Turley and Earl Weaver. Outside of the blog, I'm thankful for, obviously, my wife, Mallory who puts up with me (which is a lot more difficult than you may believe); my son, Christopher (who - SPOILER ALERT - will have his own blog soon), my mom and dad, my brothers and sisters and the rest of my extended family. I'm especially thankful I have been provided another year with my grandmothers. I'm thankful for all of those who choose to call me their friend. I'm thankful for the company that I work for and the awesome people I work with. I'm thankful for Buck Showalter. I'm thankful that a late inning reliever, whom I loved, could be traded for a power hitting first baseman who smashed the Orioles single season HR record. I'm thankful for Roch Kubatko's blog on masnsports.com. I'm thankful for Fan Fest and being able to make a friend there, Michael. I'm thankful to my brother, Adam, for introducing me to the Columbia Antique Mall. I'm thankful for Double Stuff Oreos. I'm thankful for a well-cooked steak. I'm thankful for a lot of things. So, thank you everyone for your support over the years. Please continue to check in here and see what's going on, I sincerely enjoy it. I hope you all have a safe and healthy Thanksgiving a merry Christmas and Happy New Year, but that's getting ahead of ourselves. Let's get this turkey cooked first. As I prepare myself to cook the turkey tomorrow, I wanted to get a quick blog posted and continue to work on my COMC stack that came in a while ago. I was going through my 2012 TOpps cards of Davis and realized that I have all of these parallels now, but I didn't have the base card. How the heck did that happen? Well, I know what happened. I opened 3 boxes and ended up with two cards that went into the two sets I built. I never thought to get another, but luckily, my best buddy (Andrew) is hooking me up with one. I have a multitude of Davis cards here that still need to be blogged, so I guess I need to keep up. I have also begun my Christmas shopping for a few fellow bloggers whom I am rather close to. I also have the Black Friday weekend sale coming up for my COMC page. I put everything on sale, so I hope I can sell some stuff to help with my Christmas budget. 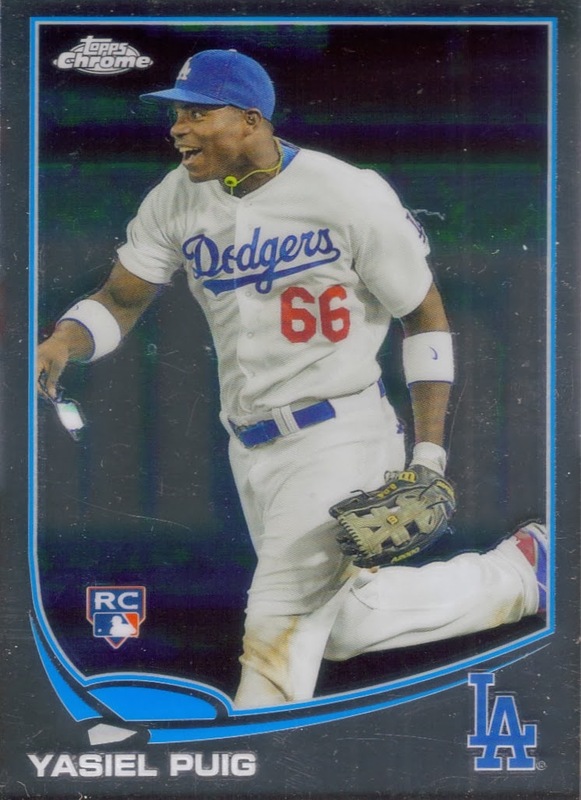 I have no idea what I sent him in return, but I made a second trade with Matthew recently which landed me this 2013 Topps Chrome Yasiel Puig RC, which I will be needing to complete the Chrome set. Yeah, I said it. I'm going to try to put the set together. It shouldn't be too hard, seeing as I have opened 3 boxes. I bet I'm relatively close, but we'll see when I sit down and sort everything. I haven't had much time for that recently. I got a bunch of other cards in my package that Matthew was nice enough to throw in. My package wasn't the best of the bunch, though. Matthew included a bunch of cards for Christopher, and, well, he really blew him away with his generosity. I was very impressed. I will have to let Chris tell the story of what he got, though. So, that's 2 trades I have done with Matthew. He seems to be learning the ropes pretty well. Head over to his blog and check it out. Numbered 391/549, I got this 2006 Topps Chrome black parallel off of COMC for $0.55. Not bad for a black refractor. 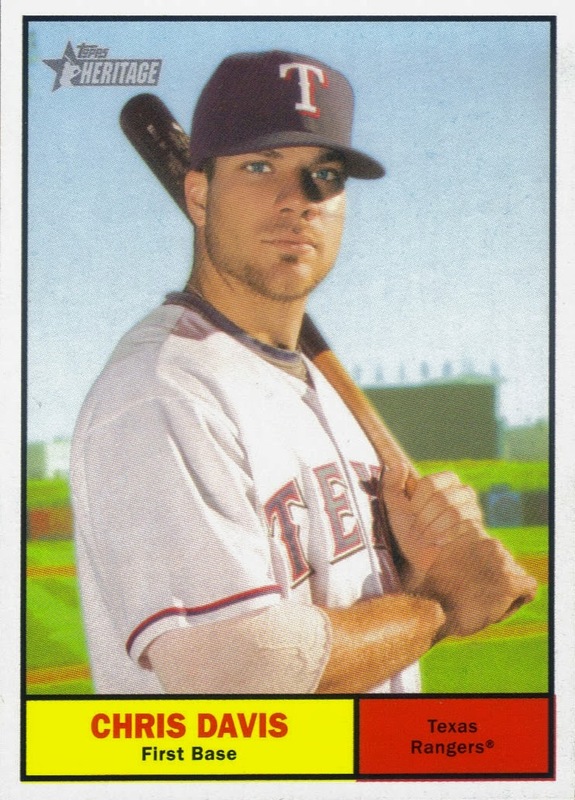 I always liked 2006 Topps. It is the first issue of Topps that I was around for in its debut since i got back into collecting in 2005. I got back in the middle of 2005, so I wasn't there for the debut of '05 Topps. It was kind of plain anyway. 2006 was really cool because of the more complex borders, etc. It kind of stands out in the mid 2000s set offerings in my opinion, and it looks really good in the Chrome variety. I need to go back and take a look through my 2006 set and see the names that showed up in there. I can't even begin to name off any of the good rookies in there, with the exception of the oddball Alex Gordon card/non card that popped up. Now, this card itself, looks really cool with the black and orange and matching up with Roberts's uniform. I'm enjoying this card quite a bit for sure. Especially for 55 cents! I completed a trade with Max over at "Starting Nine" recently when I sent him a Collin Cowgill auto in exchange for some O's stuff and a stack of 16 2013 Topps Emeral parallels for my set. 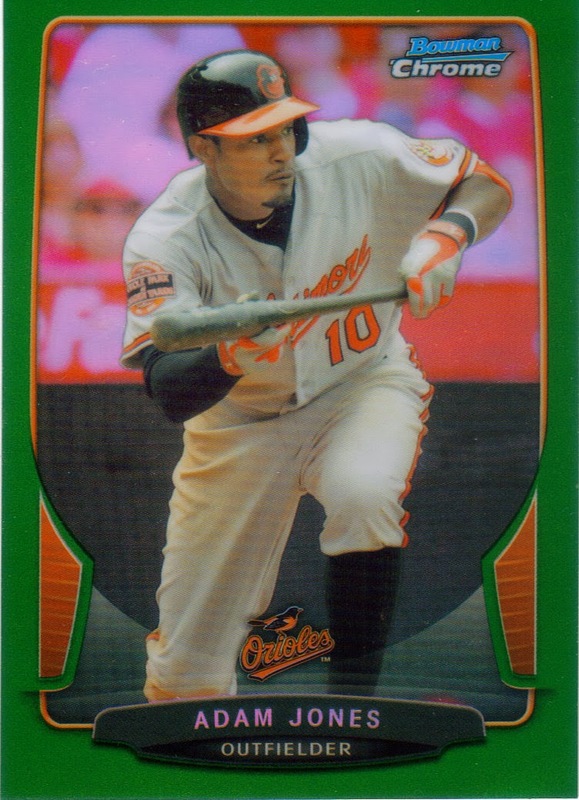 I really like the above Adam Jones green parallel from 2013 Bowman Chrome. I'm not too sure green and orange go together, unless you are a Miami Hurricanes fan like my older brother. Still, it is a really sharp looking card, which I enjoy. 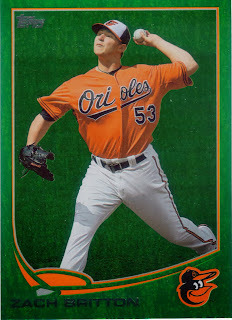 Finally, one of the emeralds I needed was this Zach Britton. I hope to complete the emerald set sometime soon and this trade stack definitely puts a sizable dent in it. Thanks for the trade Max, let's do it again! My last TTM success was June 1, 2013 and there has been quite a gap in between my sending off anything to get signed. Mainly because I just haven't had time to get anything together to send. Or, my own laziness. Take your pick. Nevetheless, I did, in fact, get a TTM success today. This is my 75th TTM success and just so happens to be my 95th Hall of Famer. The ball is signed by 2005 Ford Frick Award winner Jerry Coleman. Jerry Coleman (b. 1924) played in the majors from 1949 to 1957, all for the Yankees. He had 558 hits, 16 home runs and a career .263 batting average over 9 seasons. He was a member of 4 World Series championship teams (1949, 1950, 1951, 1956). After his playing days were over, Coleman switched to broadcasting. Coleman became the voice of the San Diego Padres and 1972, a position he held every year since, except for the 1980 season (He managed the Padres that season). I mailed to Coleman on November 12 and got him back today, making him a 10-day TAT. He signed my ball with no fee. I'll say it again, I love the Chrome parallels. The Blue and Red ones the most. Those two really pop when scanned. Ok, maybe I like the Oranges a bit too, probably because I'm biased. 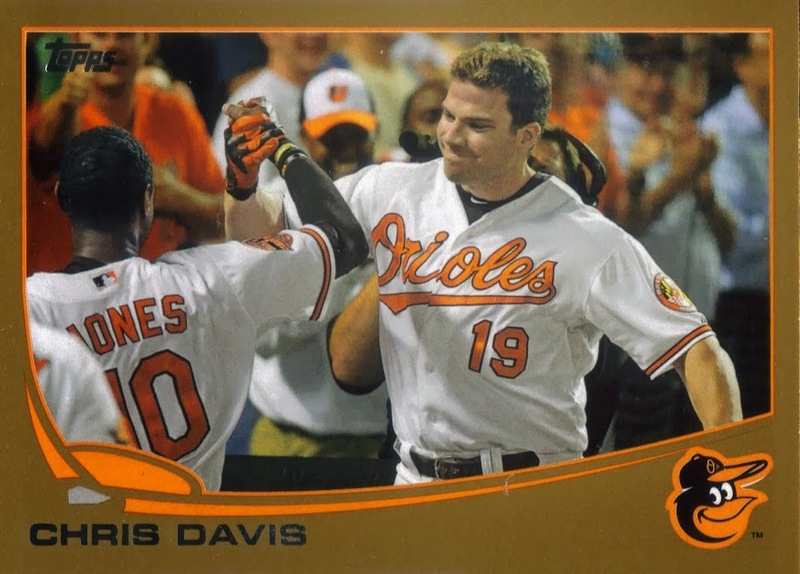 Anyway, this is a really awesome Davis card. The blue picked up really nice. 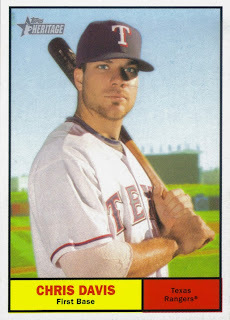 I've got a bunch of Davis's 2012 Topps cards now, so I need to sit down and figure out what I still need. This card is numbered 140/199. 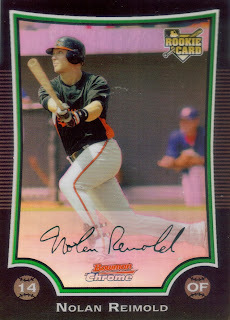 I bought this 2013 Topps Mini Nolan Reimold before I got a package from Ryan recently that I believe had another in it. 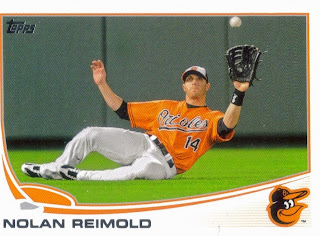 Its ok though, you know, since Reimold is one of my favorite players. I know Reimold's career has taken a hit lately with all of his injuries. I'm still confident that he will turn in a productive career when it is all said and done, though. Nolan is a great guy and has an awesome family. I am hoping he is able to play for a long time to come, and with the Orioles. We'll see if the O's tender him a contract, but I'm hoping they stick with him and give him a chance to show that he is finally healthy. I feel like a healthy Reimold would be good for 25 homers, 85 RBIs and a .300+ batting average.